James joined the Berendsen Head Office team in 2008 as a Business Analyst working with Executive Management, the Branch network and Questas Corporate in the development, testing and implementation of a range of business improvement initiatives covering a wide range of disciplines. In 2009 James moved into the role of acting Branch Manager in Wollongong before moving on to a similar role in Melbourne later that year. 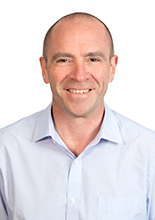 Upon returning to Sydney in March 2010 James was appointed as National Manager Branch Development, holding responsibility for five branches as well as acting as Branch Manager for Adelaide. In addition, James was responsible for the management of BHA Imports and the National Customer Service Centre. Later that year James was appointed as CEO of Berendsen Fluid Power. Prior to his employment with Berendsen, James held the role of Business Solutions Consultant with First Rand Bank Ltd, and Product Manager with Goldquest International Hydraulics, where he established Goldquest International Hydraulics’ Filration Division. 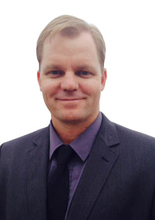 James holds a Bachelor of Commerce from University of the Witwatersrand as well qualifications in Project Management, and Advanced Hydraulics and Electro Hydraulics. After completing his four year Fitter/Machinist Apprenticeship with Jarvie Engineering, Ben went on to work as a contractor at various open cut and underground mine sites in Queensland before returning to NSW and joining Berensdsen Fluid Power in 1998. Seven years later Ben began working at Meadow Industries as a Workshop Supervisor and returned to Berendsen in 2007.Ben’s undoubtable knowledge of the fluid power industry has earned him accolades amongst his fellow co-workers. Working from the ground up at Berendsen; from a Workshop Manager, to Branch Manager and now General Manager, Ben’s experience is undoubtedly well rounded. 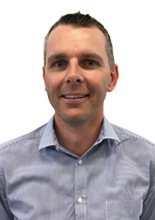 As General Manager of Berendsen Fluid Power, Ben is responsible for overseeing the operations of the Newcastle, Mackay and Melbourne branches as well as being a key player in overall business decision making and strategic planning. 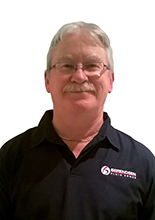 After completing his mechanical engineering trade at Unicast Diecastings in Western Sydney, Alan joined Berendsen Fluid Power as a Workshop Technician in 2002. During his time with Berendsen, Alan has fulfilled the roles of Workshop Supervisor, Business Development Engineer, Workshop Manager and now Branch Manager, developing a thorough understanding of the business and industry as a whole.To further his education, Alan completed an Associate Diploma in Mechanical Engineering (Technical) in 2008 and a Certificate IV in Project Management in 2009. As Branch Manager of Wollongong, Alan is passionate about leading a team dedicated to fulfilling the individual needs of their customers. Alex Bojko was welcomed on board in April 2015 as the Adelaide Branch Manager and is the newest member to join the Berendsen management team. After completing his mechanical engineering trade at Tungstone Batteries in the UK, Alex moved into various sales and manufacturing roles within the Materials Handling Industry. Alex moved to Adelaide from the UK in 2002 to take up the position of General Manager for a specialist conveyor manufacturer. Alex joined us in April 2015 to embark on a personal goal to move into a new industry that he would find both challenging and interesting. He also completed a Diploma of Accounting in Adelaide so has an excellent understanding of the financial needs of business. Ashleigh Sullivan has worked in the fluid power industry for over 20 years. 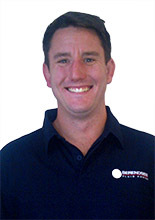 Ashleigh began his career as a Sales Engineer for SMC Pneumatics and was there for over 10 years. He then went on to work for Berendsen Fluid Power Geelong as part of the sales team for the next 5 years. In the following year, Ashleigh then moved between Eaton Hydraulics and within the pneumatics industry before returning to Berendsen Fluid Power in a branch manager capacity. Ashleigh evidently, brings a wealth of knowledge to Berendsen Fluid Power and has been the Melbourne Branch Manager for over a year, overseeing Berendsen’s successful operation in Melbourne. After completing a Mechanical Engineering apprenticeship with A.E Goetze in Salisbury, England, David moved into various manufacturing production and process engineering roles in the aerospace, motor sport and industrial industries. During this time, he completed a Bachelor of Engineering Honours Degree in Engineering with Business. 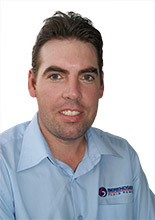 David moved to Australia in 2010 and was appointed as Mechanical Engineer for Parks Industries, a hydraulic cylinder manufacturer and repairer, and soon progressed through the business to Engineering Manager overseeing the day to day running of the business. David joined Berendsen in January 2016 as the Perth Branch Manager and oversees all areas of the Perth branch operations. After completing a Bachelor of Business at the University of Technology in Sydney, Matt launched his career in the waste and recycling industry, gaining experience in a number of areas such as maintenance, production management and operation management.Matt’s career working up and down Australia’s East Coast and New Zealand has given him a thorough understanding of the financial and production pressures businesses face in today’s market, and he is confident in being able to provide effective solutions to meet his customers’ requirements. Matt joined Berendsen Fluid Power in 2011 as a Service Manager in Melbourne and later that year was promoted to Melbourne’s Branch Manager. 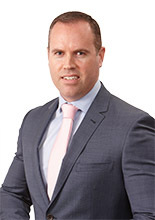 Matt relocated to Sydney in late 2014 where he is now the Sydney Branch Manager. After completing a technical apprenticeship and a Diploma in Mechanical Engineering at UK Machine Tools Industry, Peter migrated to Auckland, New Zealand where he spent five years as a Design Engineer at a local whitegoods manufacturer, Fisher and Paykel. 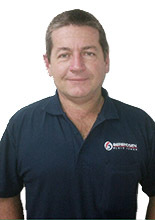 Peter relocated to Brisbane in 1988 to work in the Fluid Power Industry, and was appointed as the Sales Engineer for Eaton Hydraulics (formerly known as Vickers Systems). Peter’s career progressed in the early 90s at Berendsen Fluid Power (formerly known as Sophus Berendsen) as the Regional Manager and National Business Development Manager. 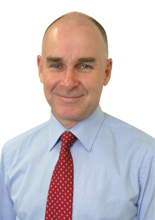 This was followed by 14 years as the manager for Queensland and Western Australia at Moog Australia with exposure to precision motion control systems across the Australian industrial, aerospace and defence markets. Peter returned to Berendsen Fluid Power as the Brisbane Branch Manager where he leads a dedicated team of professionals who provide sales, technical, field service and factory repair services to local industry. After 12 years of self-employment, Rodney came on board with Berendsen Bundaberg in an Internal Sales role in 2002. Within a few short months Rodney was promoted to Operations Manager and within two years he became the Branch Manager.Rodney’s fast progression within Berendsen is no surprise. His business minded approach and charisma has seen the Bundaberg Branch double its turnover in the past 10 years. Rodney has a Certificate IV in Fluid Power and is also a qualified tradesman – Diesel Fitter and Heavy Earth Moving Equipment.